In my opinion, Arches National Park, located just outside of Moab, Utah, offers more bang for the entry-buck than any of the parks I visited on this trip. 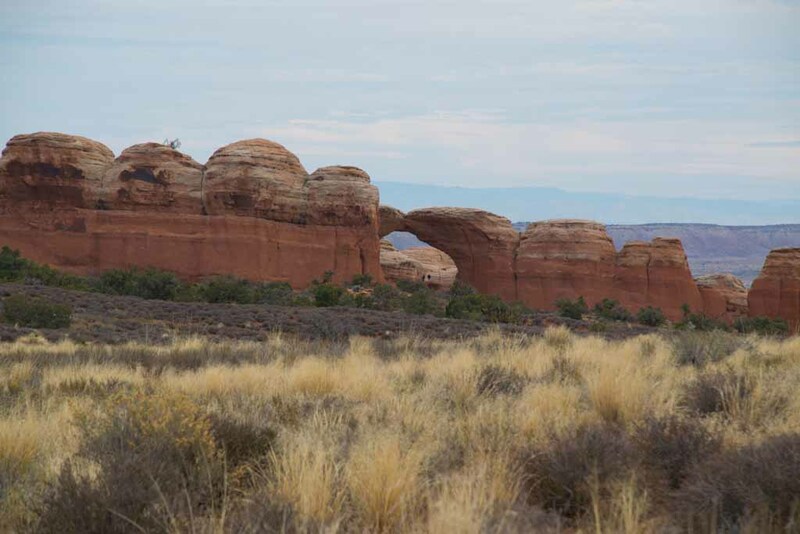 Obviously, based on the name, there are arches, but there are many more interesting features also. 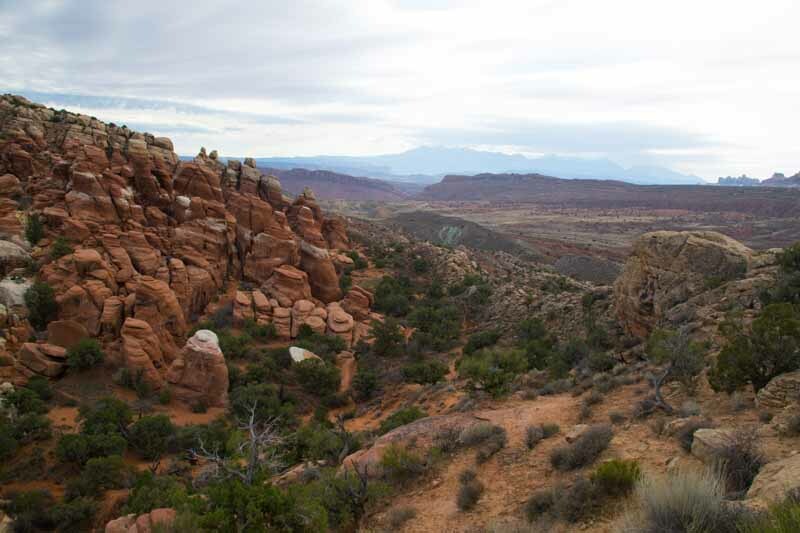 All of the major features are located along the main roadway of the park. The photos below are just a few of those I took - along with some commentary where necessary. While in Arches, I learned a vital lesson - NEVER go walking in new shoes. I did and severely injured my right foot and severely limited where I could go as my foot was killing me for the rest of my trip. You can click on each of these picture to open a larger version in a separate window/tab. At the entry of the park, I noticed the rock formation shown here. Given that so many of the features have names (except this one) I thought it looked like the three bears. 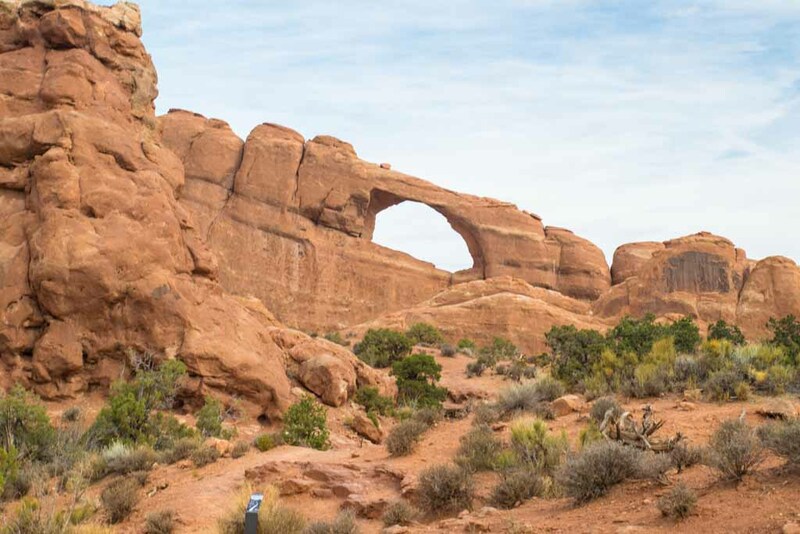 At the end of the park road, and after a 1.6 mile hike, Landscape Arch appears. 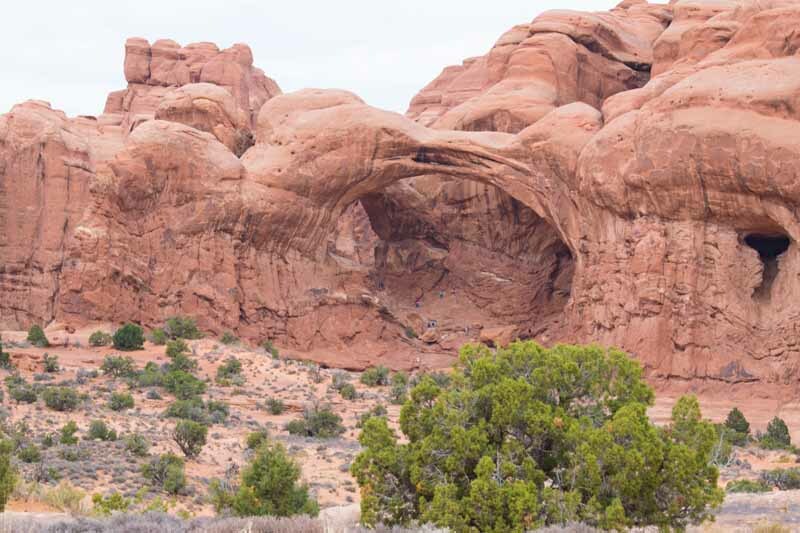 Closer approaches to the arch are not advised as it could collapse without warning. Right next to it is another smaller arch - which does not have a name. 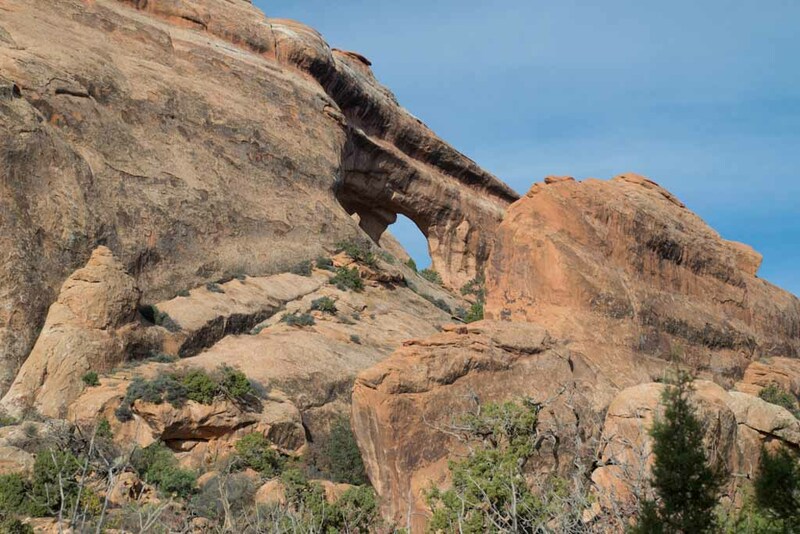 A little closer view of the smaller arch. 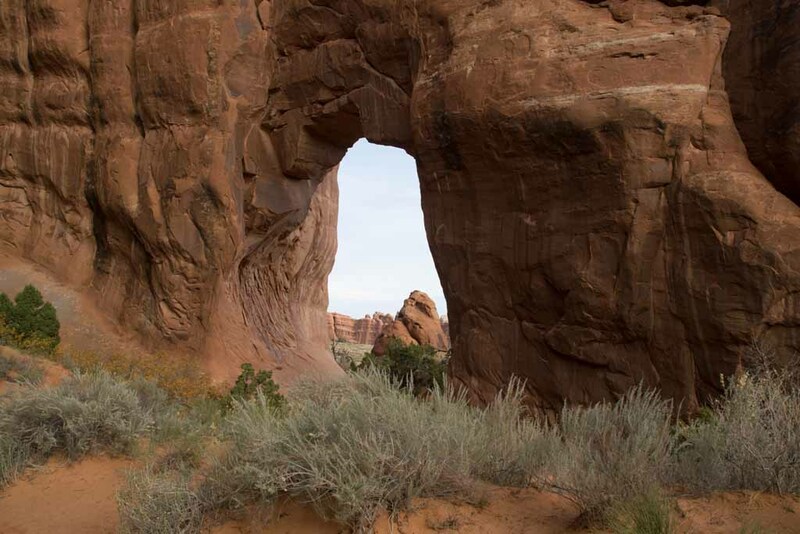 On the hike back to the car is Pine Tree Arch, name that because there is a tree growing under the arch. 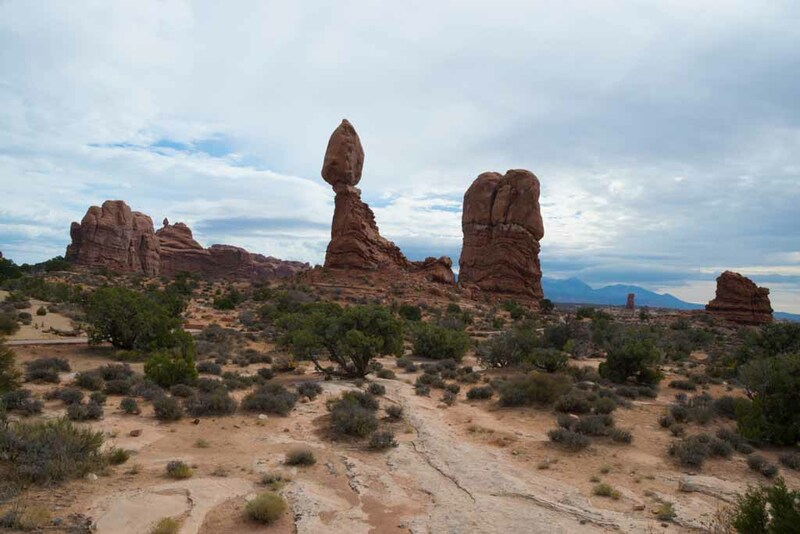 Just a short distance from the Pine Tee Arch, I saw this rock formation. To me it looks like a submarine. 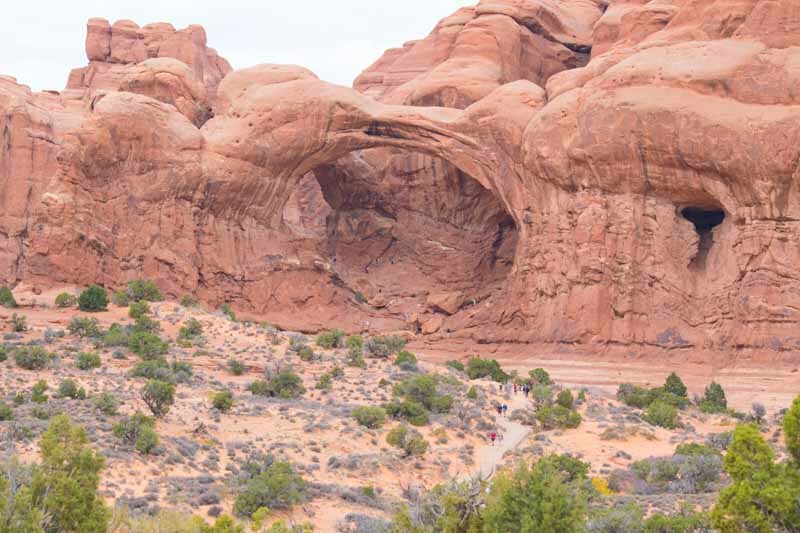 This is called Tunnel Arch, and is close to Pine Tree Arch. 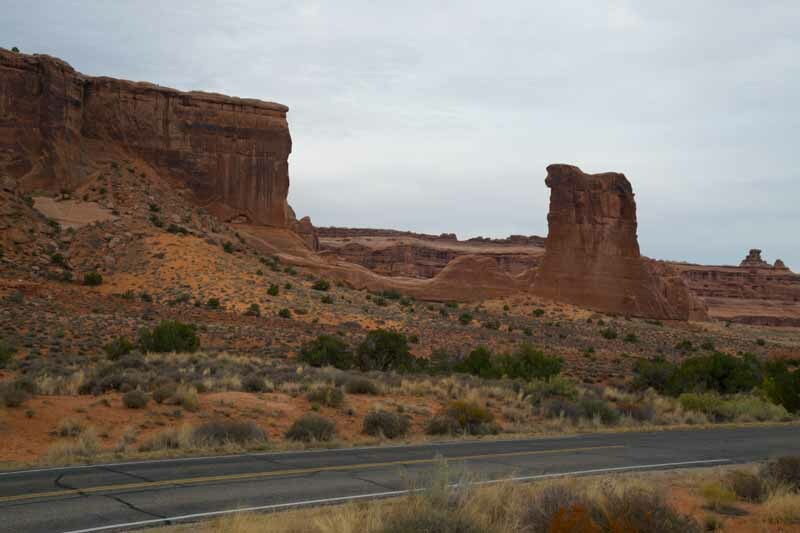 Just a short distance away, right on the main road is Skyline Arch. 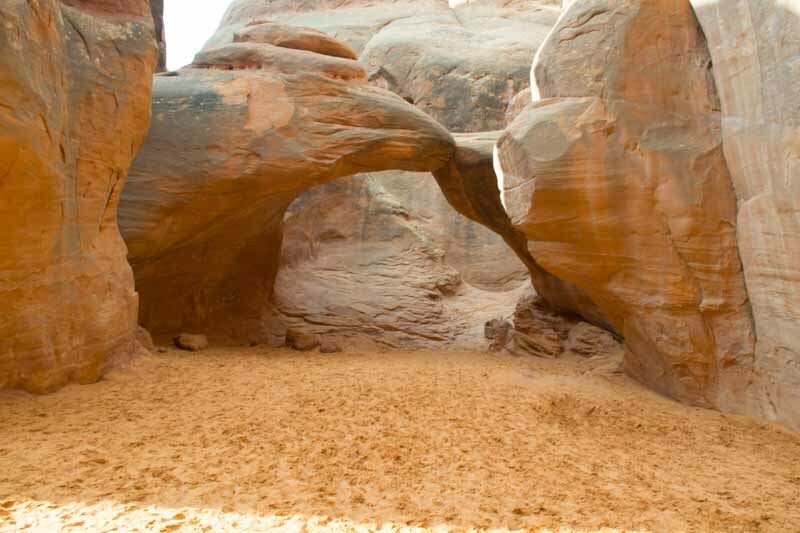 Deep inside a narrow canyon is Sand Dune Arch. Getting to the Sand Stone Arch is a bit tricky - you need to squeeze thru this passage way. I almost did not make it through! 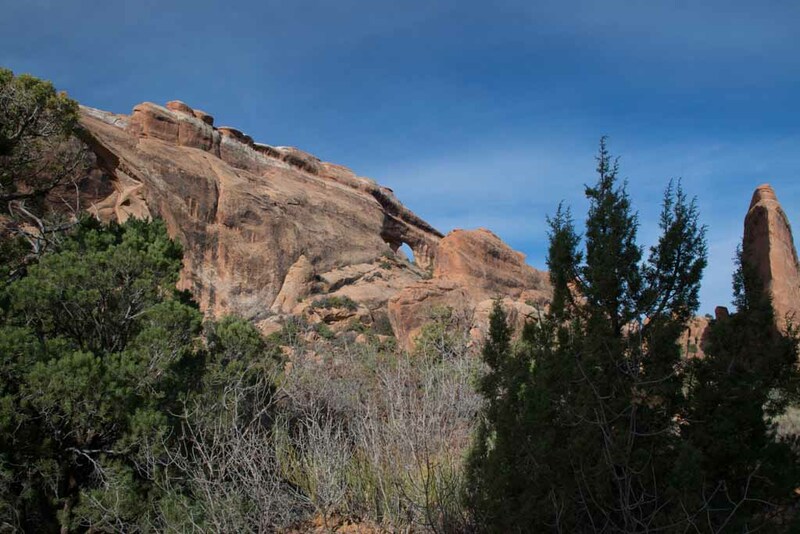 About a mile way, through the scrub is Broken Arch. Under more favorable conditions I would have walked there (see above). This area of the park is called the Fiery Furnace. 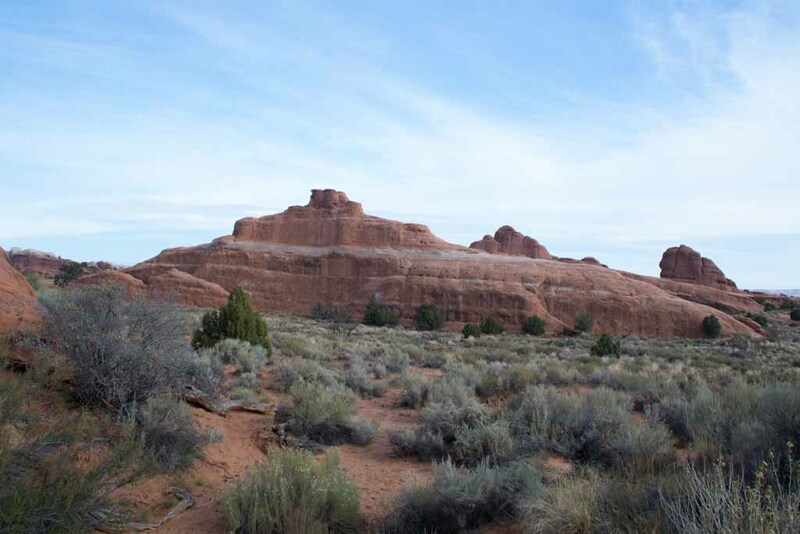 The name comes from the iron ore deposits which color the ground red. 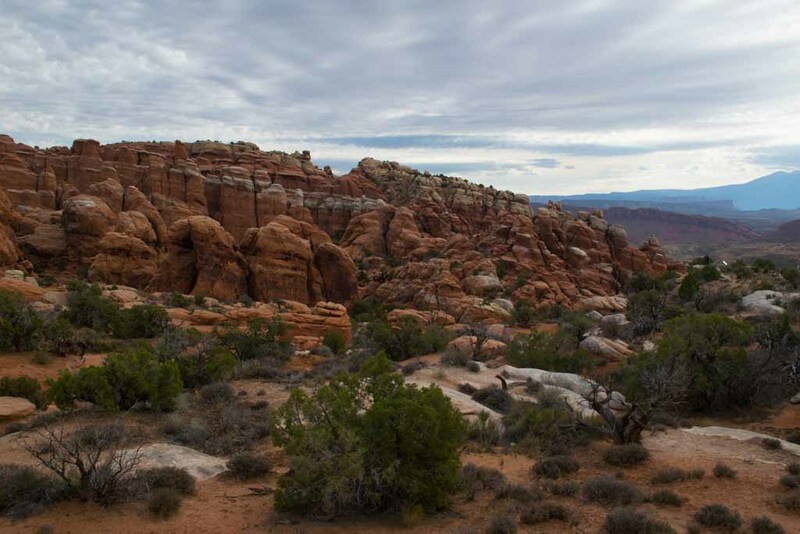 The formations in the Fiery Furnace are caused by erosion. This is a long-distance shot of the Delicate Arch - one of the most picturesque arches in the park. It is popular enough that it is on the Utah License plate. 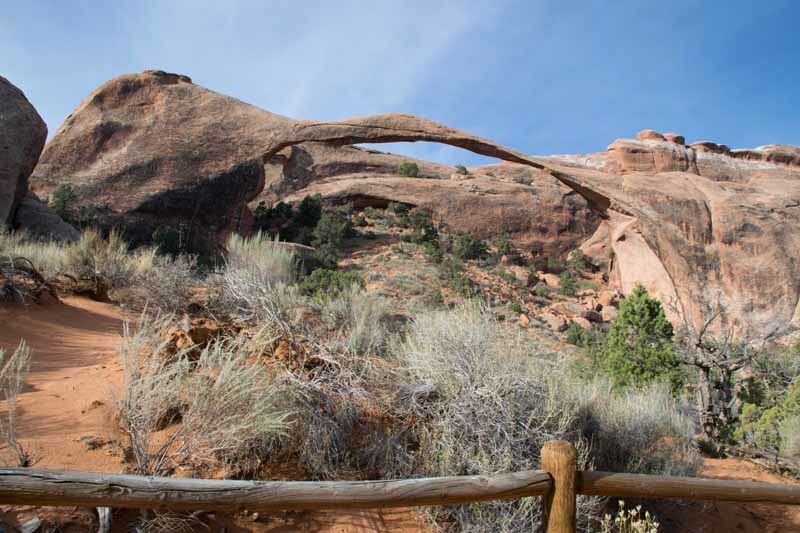 The arch is at the end of a difficult 3.0 mile hike, so I opted for a telephoto shot. 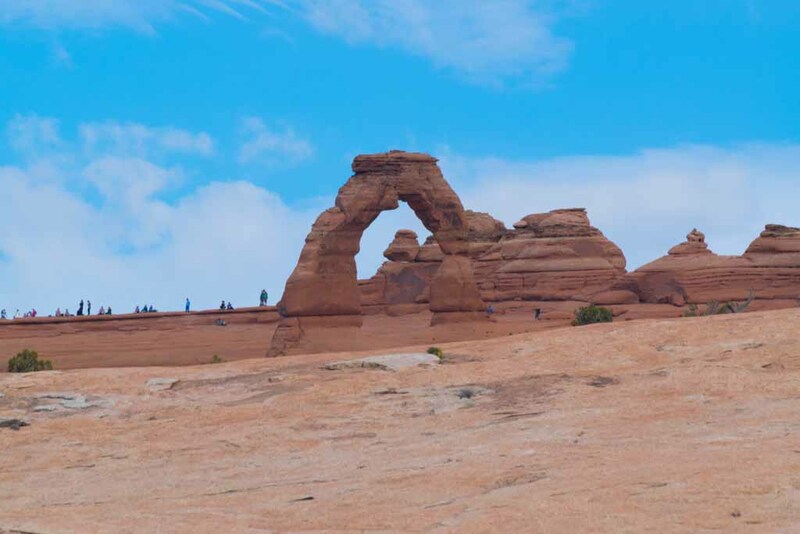 Notice the people beside the arch?. 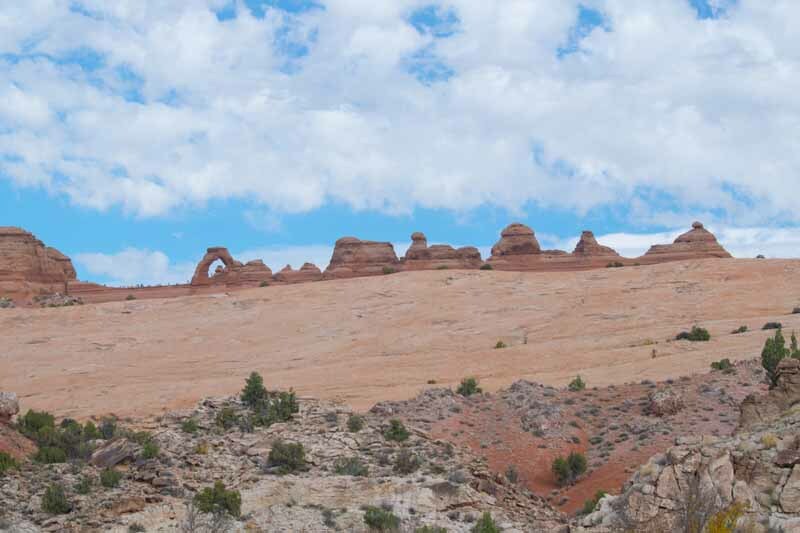 Looking at the arch from a distance, the rock formations seem to form a train. This is a shot of the Double Arch. As its name implies there are two aches here. A slightly different view of the Double Aches. Again, I would have gone closer except for the afore mentioned error on my part. 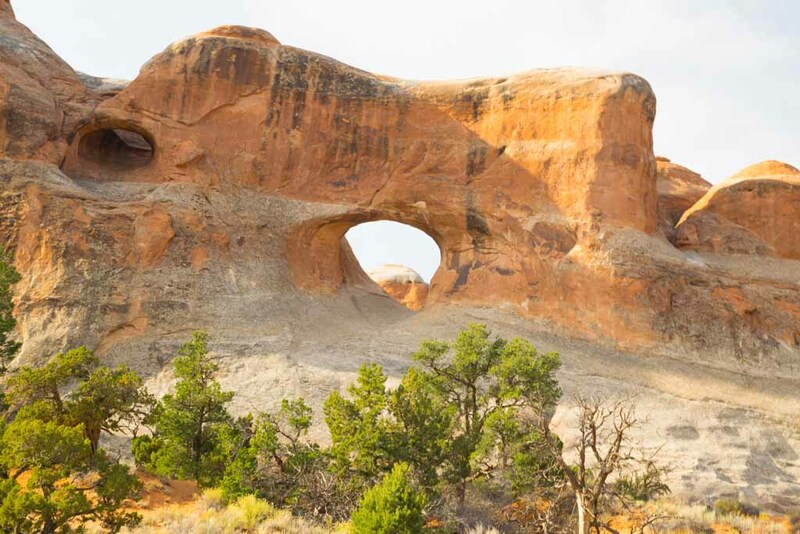 This is an area called The Windows (thee is a north and a south arch) and the Turret arch. The arch to the right is the Turret arch. Sure winch I could have walked there. This is a feature called the Balanced Rock. The name seems obvious. 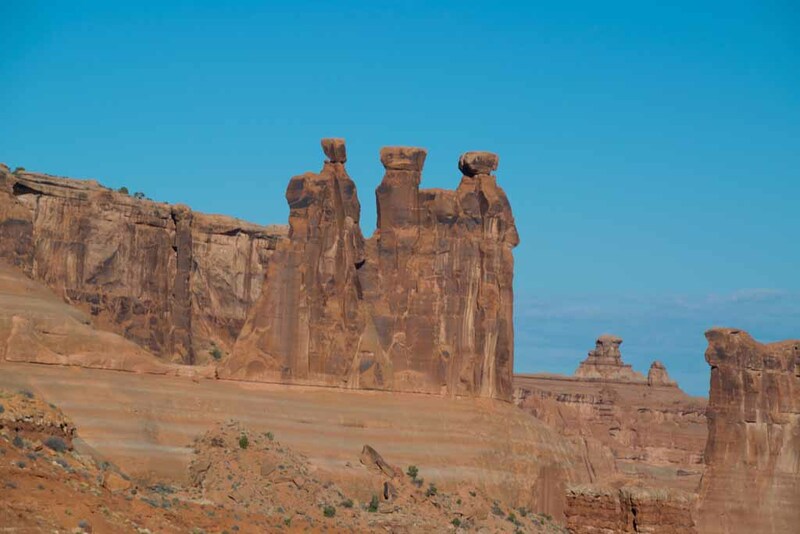 This formation is called Sheep Rock (the top of the right-hand pillar looks like a sheep's head. According to information at this site, this was once an arch which has collapsed in th past. This formation is called The Tower of Babel. 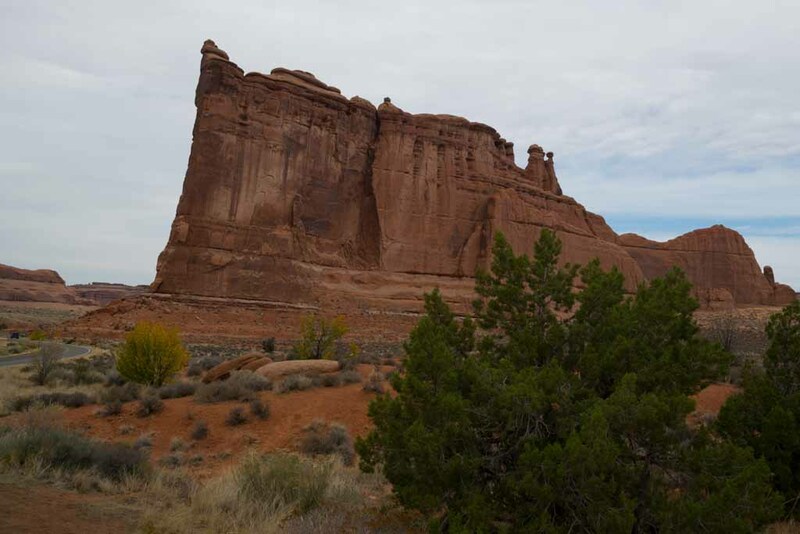 It is imposing and is one of the largest formations in the park. 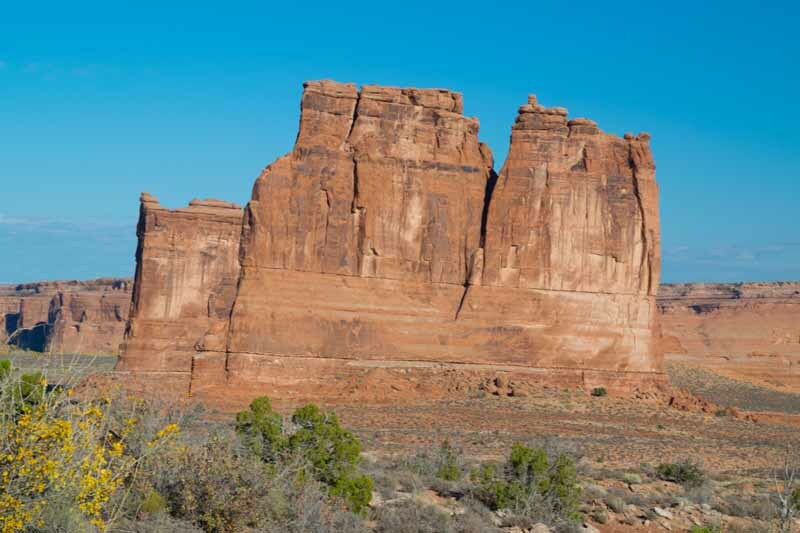 This formation is called Park Avenue. If you look at it, you can see the tall buildings along a roadway. 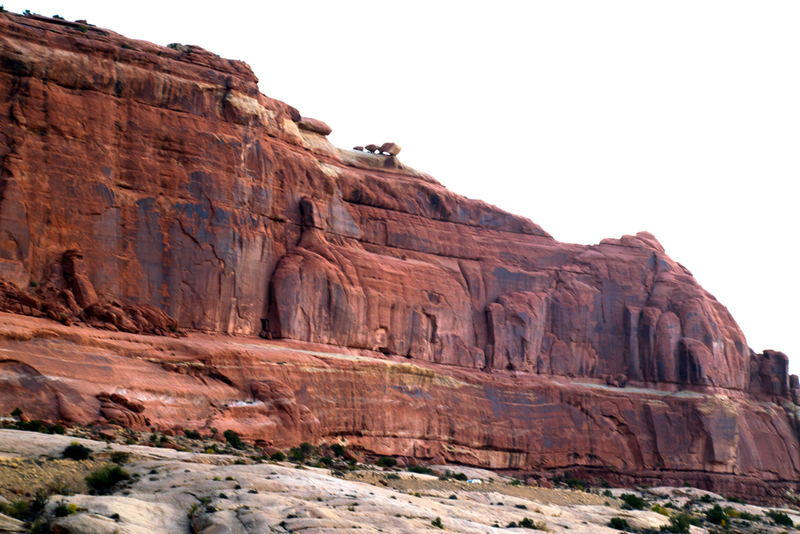 This structure is called The Organ because early settlers thought it looked like a pipe organ. This is called The Three Gossips - it looks like three figures in a line. 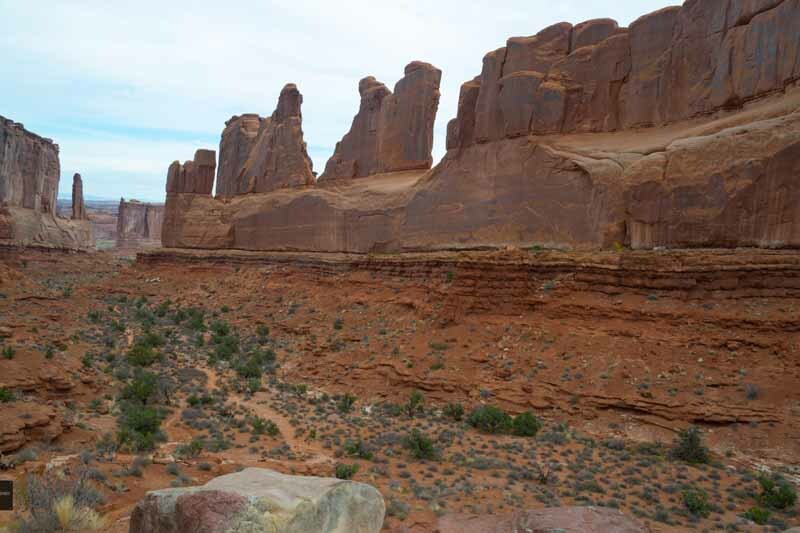 This picture is of no particular feature, but illustrates a geologic fact for the park. 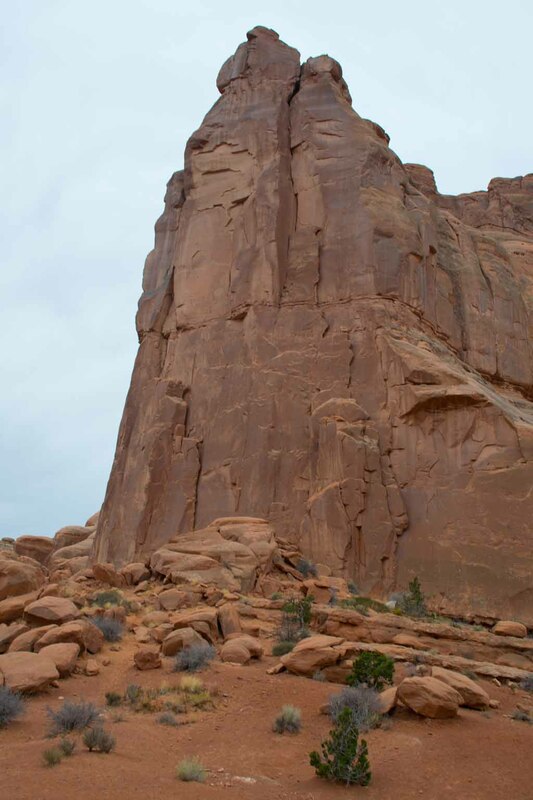 All of the rocks at the base of this face have fallen from it. 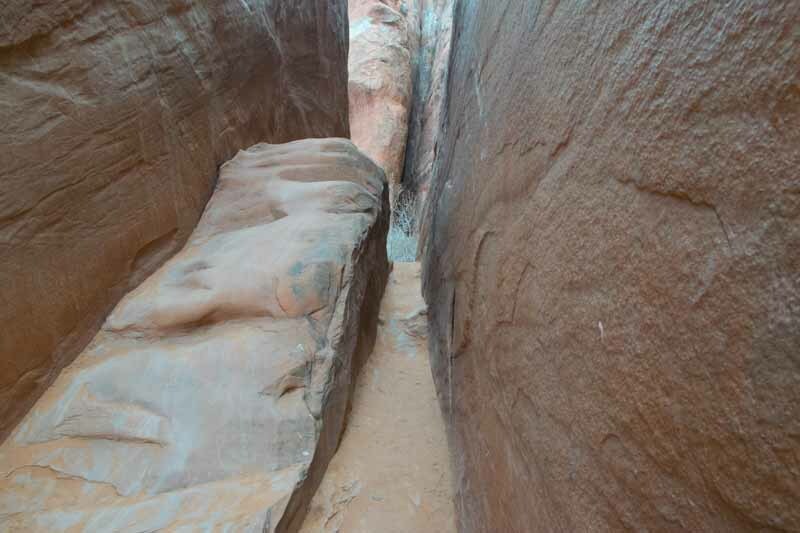 There are a number of features in the park warning of possible collapses. Mother Nature is constantly making changes. To show all of the beauty of this park, and all the others I visited, would be impossible. If truth were told, after an hour or so of looking at the beauty of this and all the other parks, the brain goes into an overload condition. 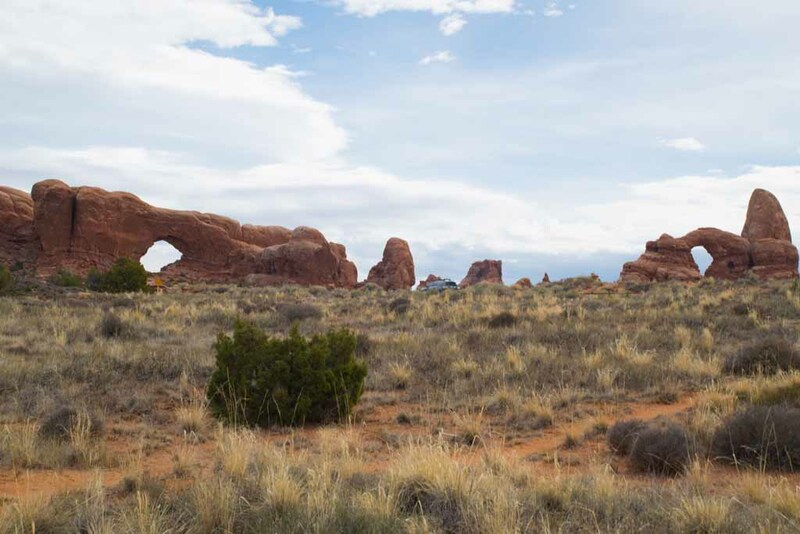 Given the opportunity, I would urge you to visit not only Arches National Park, but all the other parks in Utah.